Logic analyzers are used to record and analyze digital communication signals. 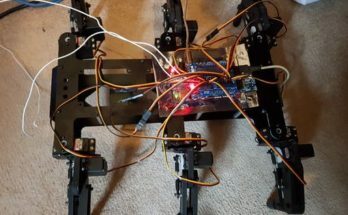 They work in a similar manner to an oscilloscope, but the data is processed and displayed with additional data that is calculated by the software (such as the value of each data packet) to help with this analysis. 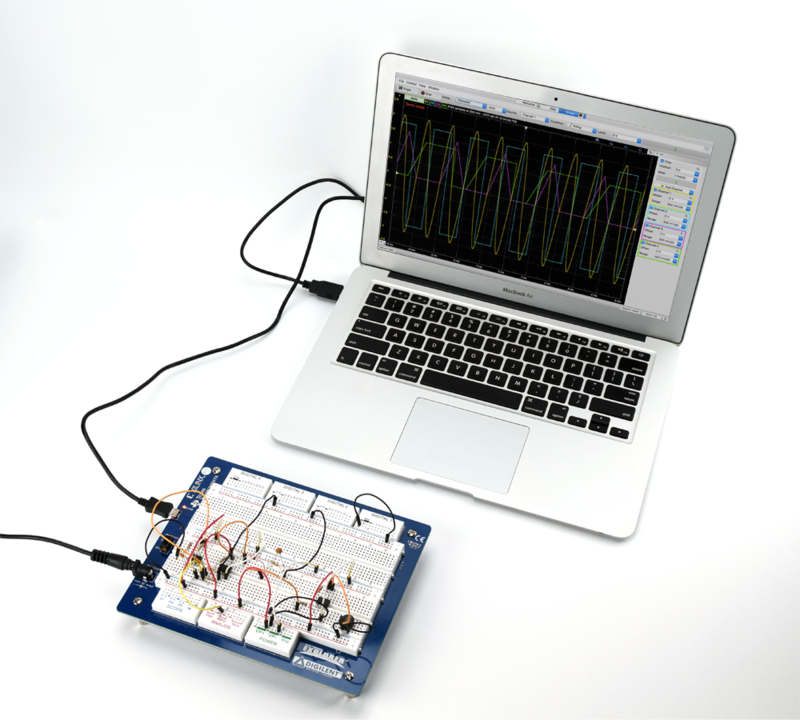 With the Analog Discovery 2 or Electronics Explorer Board and Waveforms 2015 software, you can record and decipher most types of digital communication signals. 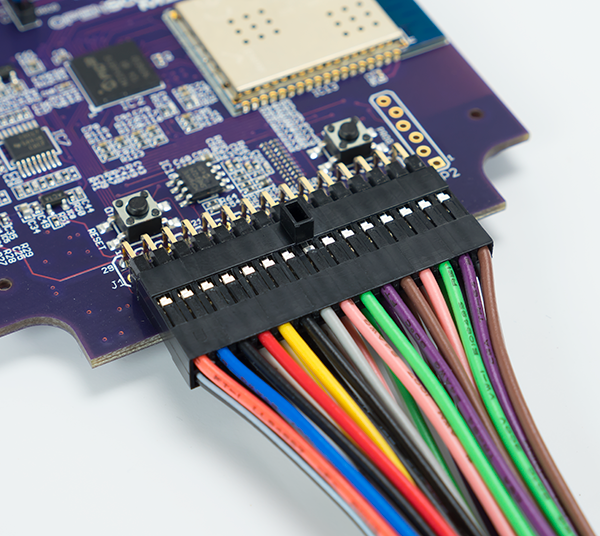 Part of a UART signal and an I2C signal. You can analyze 7 different types of digital communication signals, or you can write a custom script to analyze a communication protocol of your own design. Choose between several types of communication protocols, or analyze your own custom protocol. 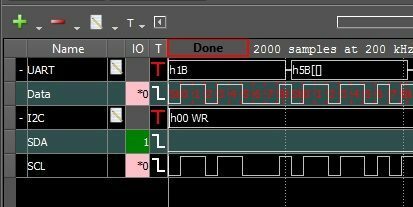 There are a large number of ways to configure the trigger conditions for the logic analyzer tool as well, either using external sources, other WaveForms tools, or specific conditions unique to your communication stream. The Logic Analyzer is a valuable tool for anybody working with digital communication. Check out my Instructable for an in depth tutorial. 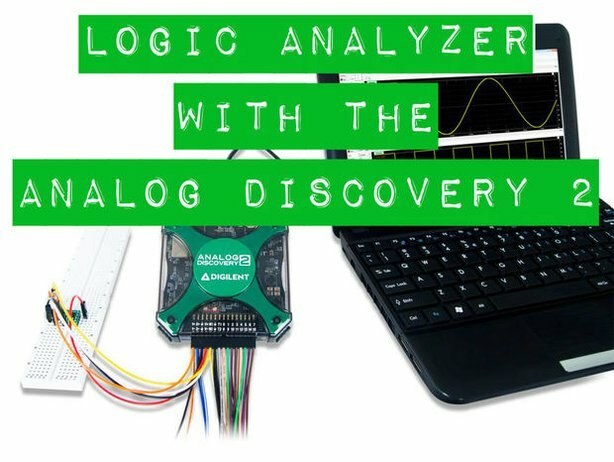 Next Article AnalogDiscovery.com is Live!